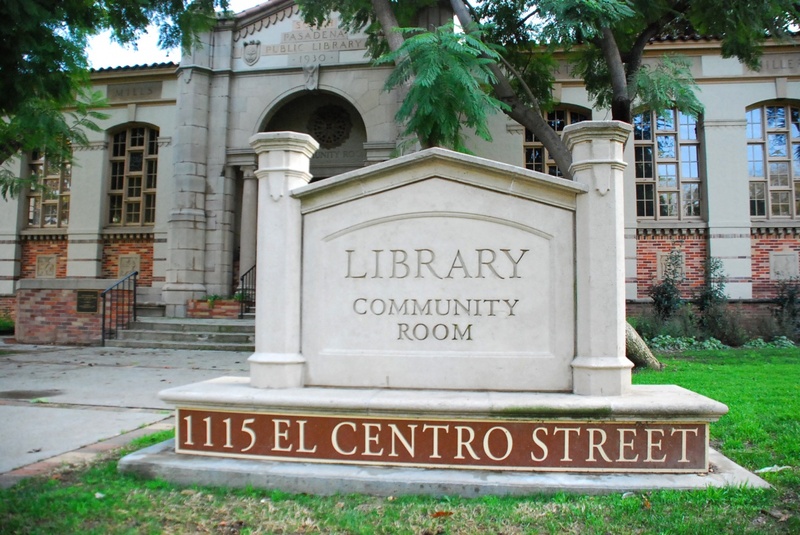 PHOTO: Eric Fabbro | SouthPasadenan.com | National Library Week, a yearly celebration of libraries and reading established by the American Library Association, is April 7-13 and the South Pasadena Library is planning some family, fun activities. For the South Pasadena Winter Arts Crawl on Saturday, February 16, the Library and the Friends of the Library present a Film/Live Jazz/Art Show that starts in the Community Room at 6:00 p.m. with an art exhibit of paintings of jazz musicians by Sam Pace and a live musical performance by Mark Hatch and Group 5. 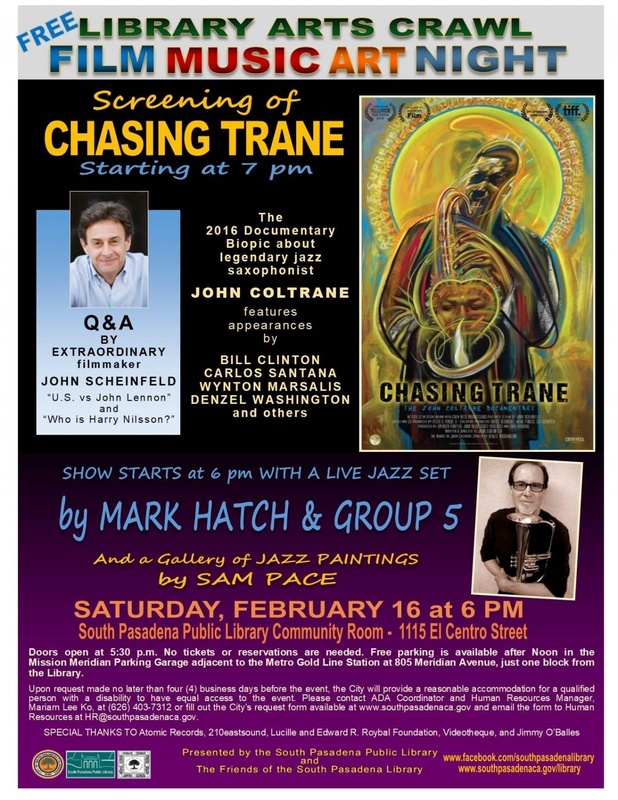 “Chasing Trane,” the acclaimed documentary about extraordinary jazz saxophonist John Coltrane with start at 7 p.m. followed by a Q & A with John Scheinfeld its award-winning director. 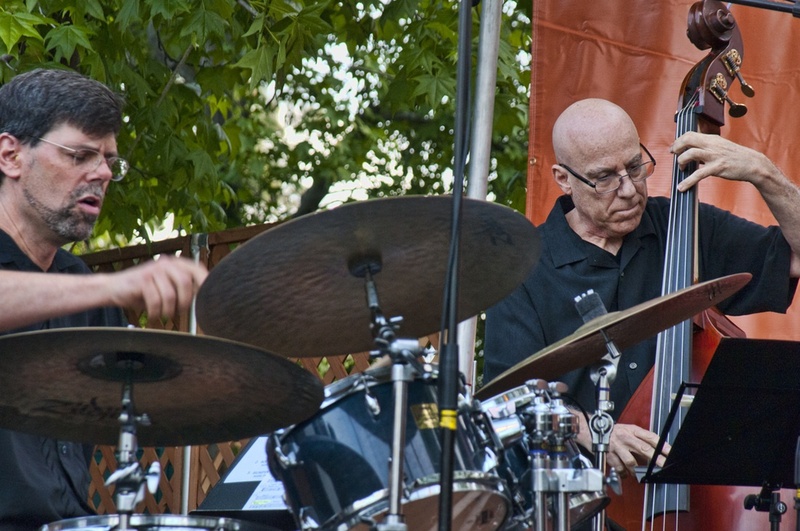 The Arts Crawl is a ‘night on the town’ for the community and venues galore will be open around the downtown area of South Pasadena. For more info. PHOTO: South Pasadena Public Library | SouthPasadenan.com News | ‘Chasing Trane’ at the South Pasadena Public Library February 16, 2019 6 p.m.